Wellness Room volunteers: We just do it! Bev Callsen and Joanne Kosolofski, volunteers at the Wellness Room. 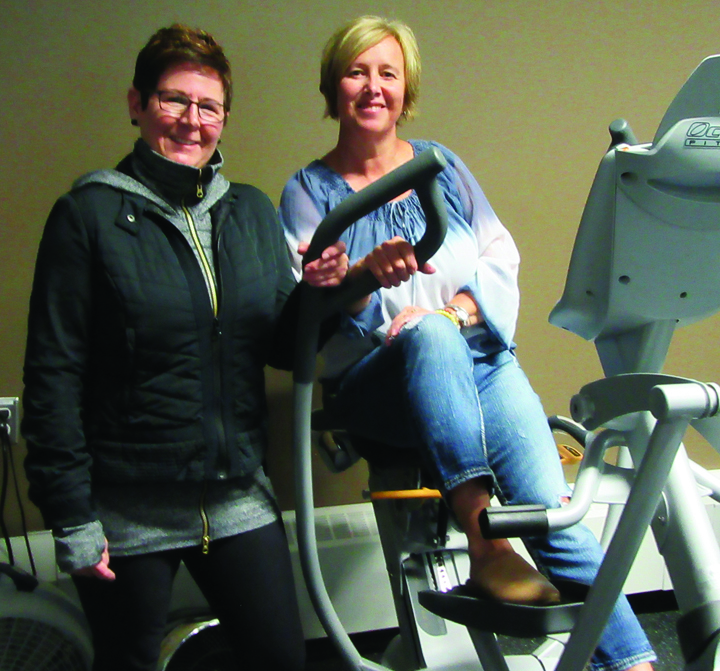 Joanne Kosolofski describes herself as the instigator in bringing the Wellness Room at the West Central Events Centre into existence. She started working with Heartland Health and managed to have exercise therapists conduct a 12-week program. This was followed by several years of programs being held on the track before the Wellness Room became available and equipment was purchased through donations.